Fido or Fluffy may spend a lot of time curled up by your side on the couch or on their bed, sleeping contentedly. But have you ever considered the health benefits your pet is receiving from proper sleep? Just like their human owners, your four-legged friends need to get a certain amount of sleep each day. That amount will vary, depending on size, breed, activity level, and age. East Valley Animal Hospital is a pet clinic in Gilbert, Arizona. We are passionate about all aspects of your pet’s health, including their sleep. You may know that while we sleep, humans release a hormone called melatonin. Melatonin is responsible not only for giving us a restful night’s sleep but also for protecting our cells and strengthening our immune system. Much like humans, dogs also produce melatonin while they sleep. If they aren’t sleeping enough, they may overproduce stress hormones that lead to aggression and other misbehavior. 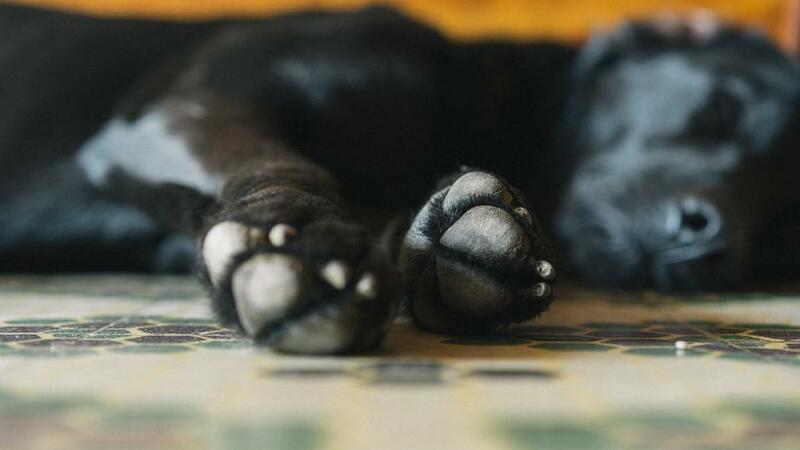 Unlike humans, dogs sleep in bursts throughout the day. While humans spend 25% of their sleep in REM (Rapid eye movement) sleep, dogs only spend 10% in REM sleep. And it’s because of the low frequency of REM sleep that dogs need more sleep than humans. In REM cycles dogs may dream, and this is where you may notice your canine’s legs twitching as if he were running. The other 90% of dog sleep is called slow wave sleep or SWS. When dogs are in SWS, their mental functions are slowed down, but their body is still engaged. The term cat nap has been coined for a reason. If you own a cat, you know they seem to always be sleeping. That’s because cats can sleep as much as 16 hours a day; that number goes up to 20 hours for older cats. Much like dogs, cats spend a majority of their time sleeping in a snooze-state. This light sleep is all a part of their genetic code, which allows them to awake at a moment’s notice if predators are lurking. Another reason cats sleep so much is also related to their genes. The modern domestic cat descended from wild cats that would expend large amounts of energy hunting prey, which required them to rest between meals. You may have also noticed your cat is most active at dawn and at dusk. The scientific term for this activity in animals is crepuscular. Understanding your pet’s sleeping habits is a helpful tool for monitoring their overall health. If your fluffy pal appears to be agitated or seems grumpy, disoriented, or forgetful, they may be experiencing sleep deprivation. If you have questions about whether your pet is getting enough healthy sleep, don’t hesitate to contact us at East Valley Animal Hospital. Our pet clinic is located in Gilbert, AZ and is easily accessible to pet owners living in Chandler and Mesa.